In the first session, participants will be presented with the latest scientific and technological advancements in the Endodontic field. Dr. Mello received her DDS degree from the Federal University of Alfenas, Brazil in 1996. 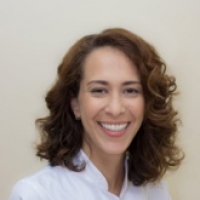 In 2000, she completed her residency and Master of Sciences in Endodontics degree at the University of Sao Paulo, Brazil and in 2008 she defended her PhD in Dental Sciences in a joint program between the University of Sao Paulo and the University of British Columbia. She moved to Nova Scotia in the summer of 2014 when she accepted the position as Division Head of Endodontics at Dalhousie University, after having taught at the University of Manitoba for 5 years. She has a passion for teaching and has received 3 teaching awards, one being the prestigious W.W. Wood award, a national award for excellence in dental education, in 2017. Dr. Mello is an active researcher and has published over 30 papers in peer review journals. Dr. Mello is a Board-Certified Endodontist and a fellow of the Royal College of Dentists of Canada. She is a member of the American Association of Endodontists, Canadian Academy of Endodontics and is a guest mentor for the East Coast Endodontic Study Club. She serves as a reviewer for the Journal of Endodontics, the journal with the highest impact factor in the specialty. She serves as consulting staff at the IWK hospital and practices in Dartmouth NS.